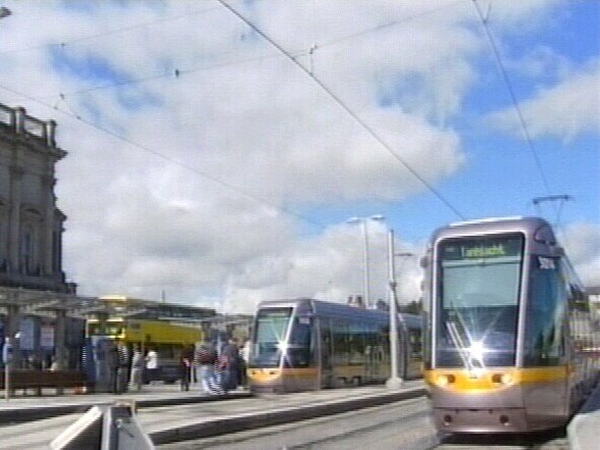 Security on Dublin's two Luas lines has been stepped up because of an increase in anti-social behaviour. Figures obtained by RTÉ News under the Freedom of Information Act show that between 2007 and 2009 the number of incidents increased by over 100%. Rail Users Ireland says the figures highlight the need for a dedicated transport police. Initial safety concerns centred on the number of collisions with cars, pedestrians and cyclists. But anti-social behaviour has also been on the rise. Disorder on and around the tram and threats to passengers and staff were among the biggest problems. 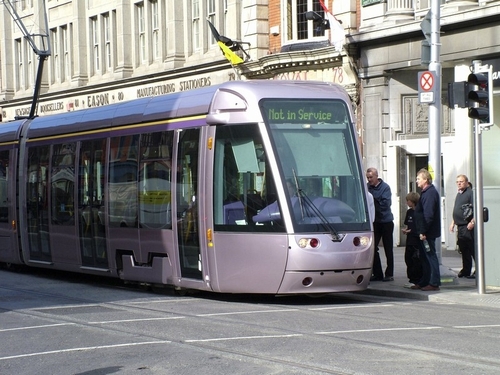 Also there is concern about objects being thrown at the tram, people drinking, smoking, sleeping on the Luas, assaults on passengers and staff and pick-pocketing. A small number of incidents involving petrol bombs, tear gas and flashers were also recorded. Now security has been increased, with security guards patrolling seven nights a week. The operators hope that the increased security presence on both lines will make more people realise that they are being watched on the Luas and that that in turn will help reduce the incidents of anti-social behaviour.